So you are engaged! YAY!! One of the first steps after this precious moment is to find a place to celebrate your wedding with family and friends. But this might be a little overwhelming! So many options and styles… So I tried to choose a few of my favorite places in the capital of Baden-Württemberg to give you a start point. Is it hard for you to find a location to celebrate? 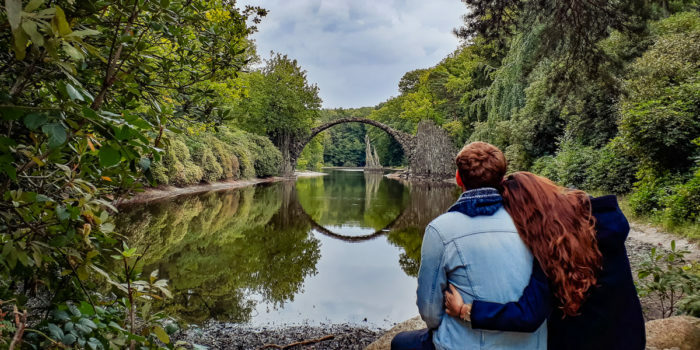 So check out this list with 7 of the best wedding venues in Stuttgart and around (: I am pretty sure you will find some inspiration and, who knows… maybe your wedding location is just a few lines rolling down the screen. 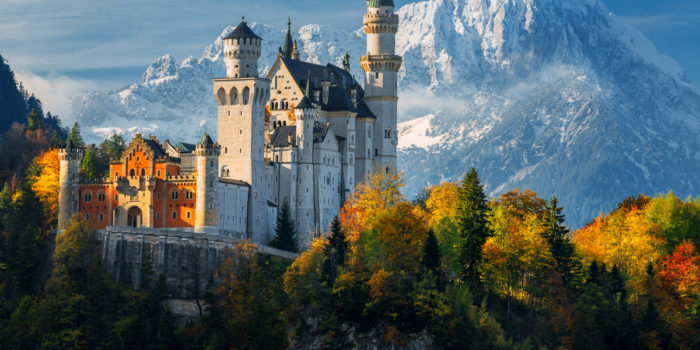 This magnificent palace already appeared in our list of gorgeous castles to get married in Germany, and it is definitely worth of being listed again. 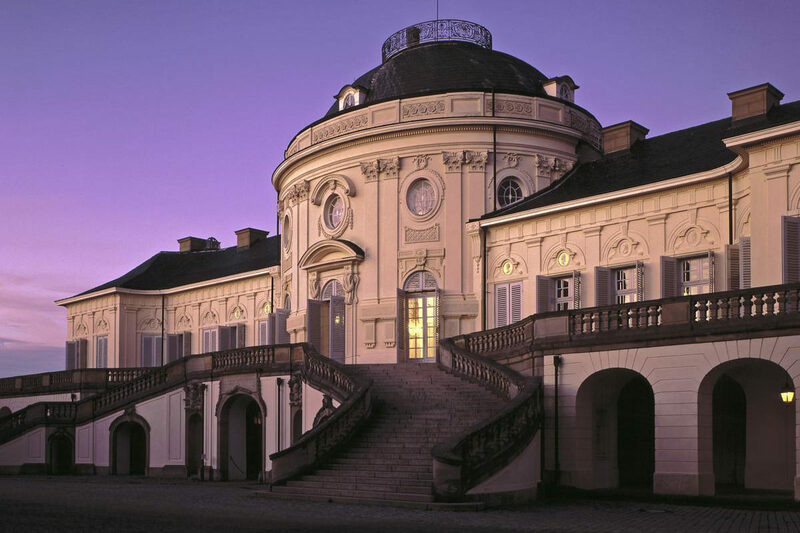 The Schloss Solitude is a wonderful venue for medium or large weddings. Its rooms are among the most beautiful places created in the Duchy of Württemberg in the 18th century. The White Hall is completely breathtaking! If you want to have a church wedding, the historical chapel is a great option. To make everything more complete, you can have your civil wedding for free in the castle. From the outside, the breathtaking view of Stuttgart will make the royal residence even more special. Lots of greens and unique Baroque details contributes for the location to be ideal for your bridal shooting. In the meantime your guests can enjoy a museum tour. Champagne reception in the terrace, available parking spots and a top-class gastronomy places this palace as one of the top locations to get married close to Stuttgart. 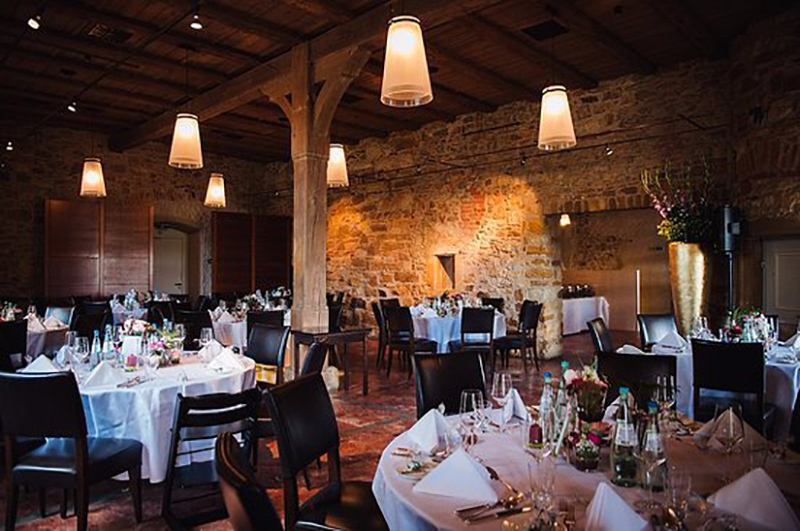 When I was planning my wedding, the Sonnenhof near Stuttgart was one of my favorite options. They have two different locations where you can have your party. My favorite one is the glasshouse. The mix of nature and glass make this wedding venue really charming and make it easy for you to simplify the decoration efforts. The glass house can accommodate up to 120 people. 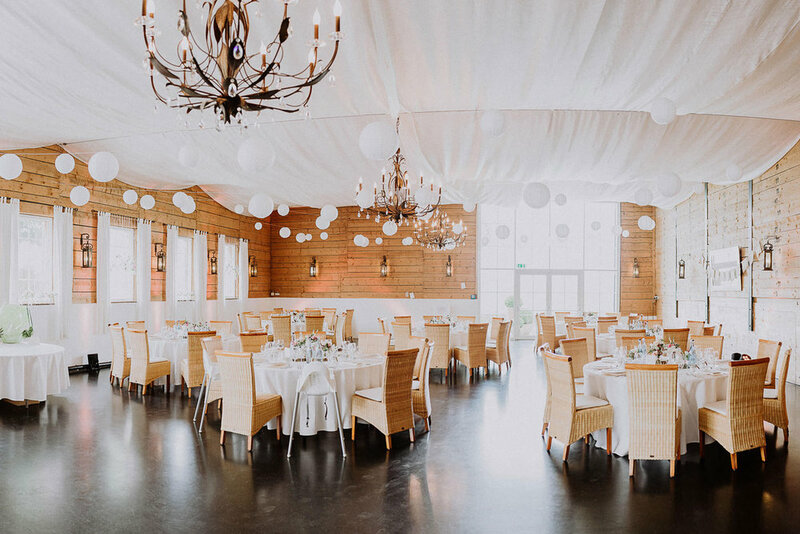 If you want to invite more people, you can take a look at the Dreschhalle, where you can accommodate up to 200 people in a inspiring rustic ambience. If you dream about getting married surrounded by wonderful nature, you can celebrate your wedding in the scenic garden. Can you imagine how beautiful this can be? To make your life easier, The Sonnenhof will take care of pretty much everything: catering, free speakers, music and childcare. A really good option for practical brides! 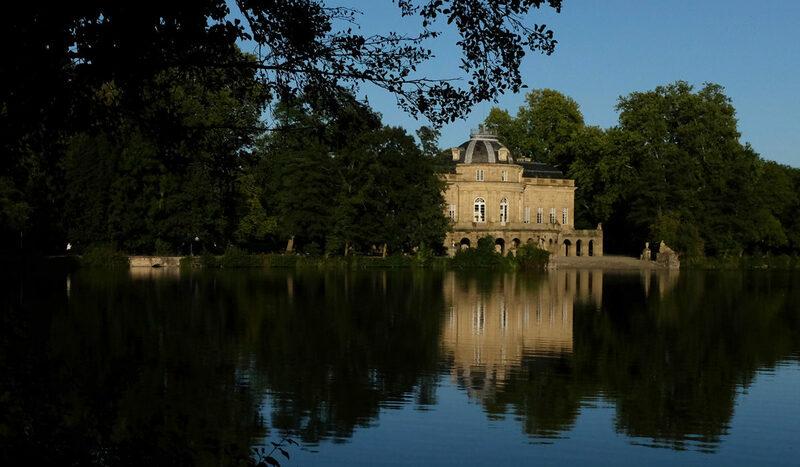 I couldn’t talk about venues to get married around Stuttgart, without mentioning Schloss Monrepos. Being so close to where I live, this is one of the first places I think when I imagine a classical wedding in Ludwigsburg. The castle view and the park around will definetely delight you! There are so many options of creative places to make some wonderful couple pictures in Monrepos, that it is hard to not spend the whole day just photographing. The winter garden can fit up to 100 people. There are also different options of rooms that can be arranged in individual concepts on request, and can fit up to 120 people. No matter what you choose, there is always the possibility of enjoying the charming view of the castle park and lake. 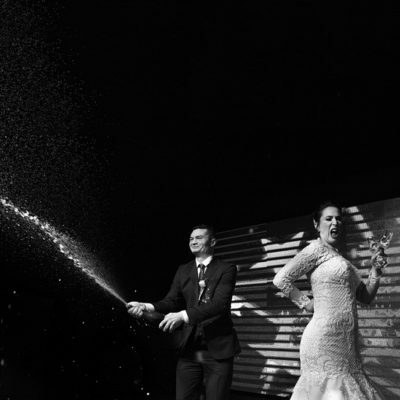 Their team also offer help to you plan all the little details: from food, through decoration, music or even fireworks. How easier can that be? In the Gerber Park area you can find some really amazing venues for your big day. My favorite one is their new building, the Bootshaus, that can fit up to 110 people. 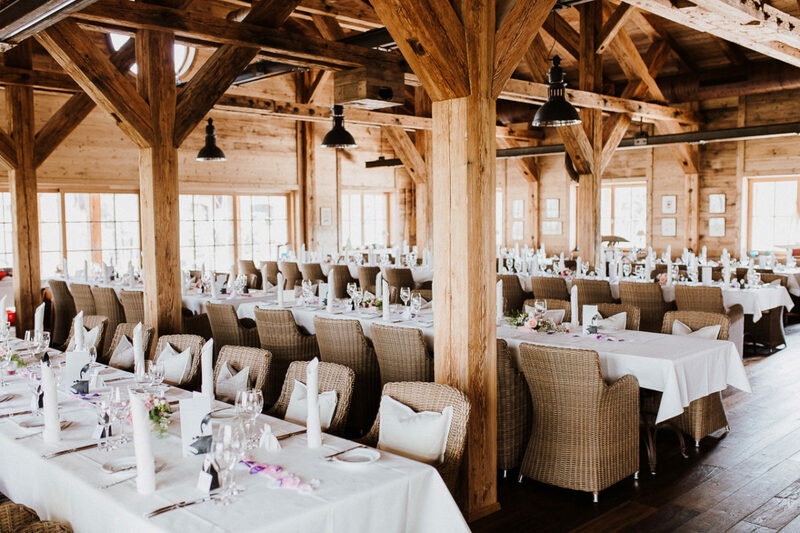 With a terrace by the water and a rustic style that mix wood and industrial elements, this is a great place for a boho wedding close to Stuttgart. The set up cost in 2017 for the venue was €700 and included the preparation of the space with table settings. If you are curious about the food options, you can choose between Swabian, Mediterranean or fish dishes. Right outside the Boothaus we can find brick walls, water and some gorgeous trees, which gives us a lot of place for creativity! 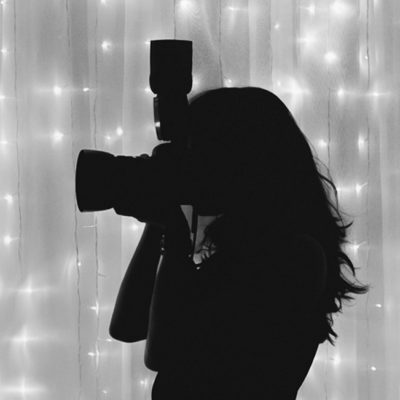 Since everything is so close, this is the perfect location to have unique wedding photos without letting your guests waiting too long to celebrate with you! Do you dream about a fairytale wedding on your big day? This extraordinary castle might be the perfect venue for you. High up in the Filstal you can see Schloss Filseck, built around 1230, in the time of the great Hohenstaufen Emperor Frederick II. The unique ambience in the atrium of the courtyard and the castle rooms will amaze you! On their website you can find an overview of the prices and packages. If you are looking for a tailor-made offer, they are very flexible to create something just for you. Those that love to eat, just like me, will be excited to know that creative chefs can elaborate a culinary experience according to your ideas! What are you waiting to check them out? This stunning rustic place was, in the former times, a potato barn. It is hard to believe, right? Those who are big fans of the boho-rustic style will be truly impressed by what Hof Leutenecker offers. From the decoration to the wedding cake, they can take care of everything. 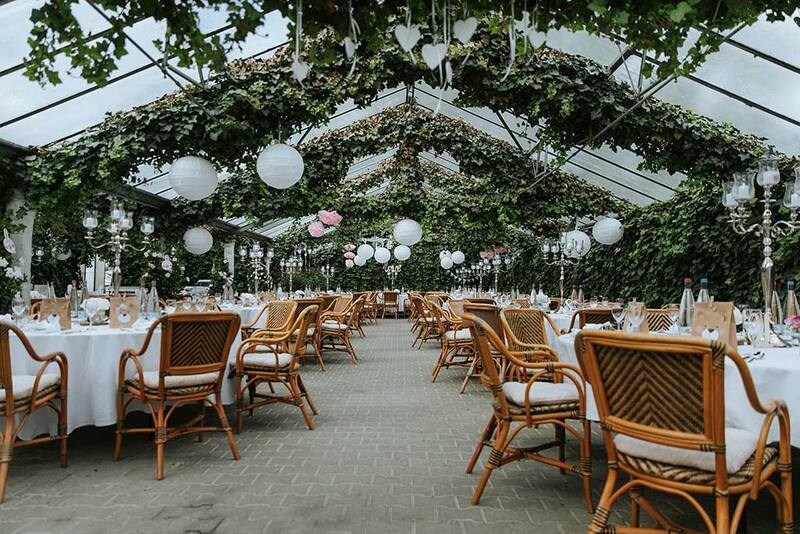 If you want to have your ceremony outdoor this is also possible! 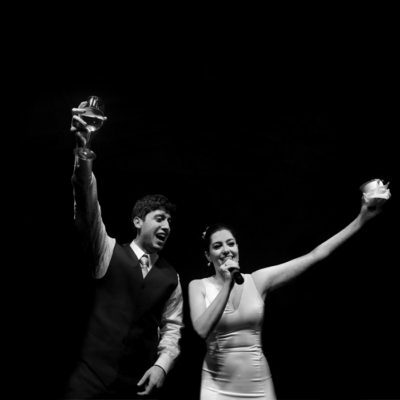 This unique venue is the perfect place to have your party if you know that you and your friends like to dance and enjoy great music all night long. Not only they guarantee to have no other events in the same date, but they are also located in a privileged location. No neighbors will feel disturbed by music or loud conversations (: You are not convinced yet? Twice a year, they host a large rehearsal dinner to receive the couples that want to have a closer look. There’s no better way to feel secure in choosing the best venue for your wedding close to Stuttgart! 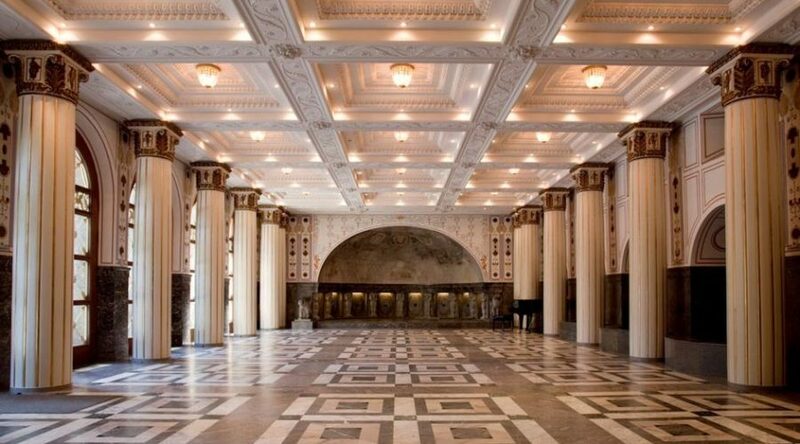 Because castles will always be amazing options, the last venue in this list of best places to get married close to Stuttgart is The Marmorsaal. 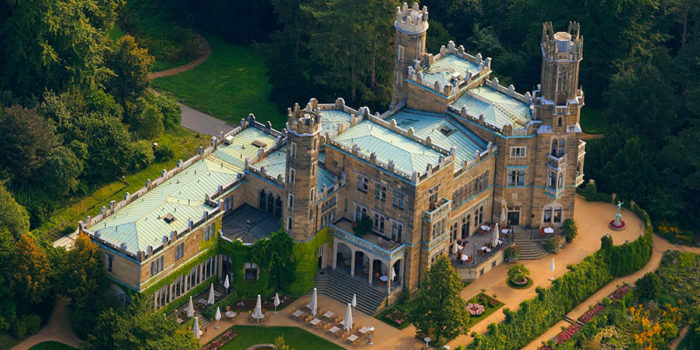 Located in the Weißenburgpark, this wedding location impresses everyone with its beautiful and restored rooms. The big windows and marble walls, together with other spectacular details, will surely surpass every expectation. The room can accommodate up to 100 people. For small and medium weddings, this can be the ideal setting. You will have to walk a little bit to get there (around 15 minutes), which might be not so welcoming for every couple and their guests. But if you have no problem with a short walk, it is definitely worth it. 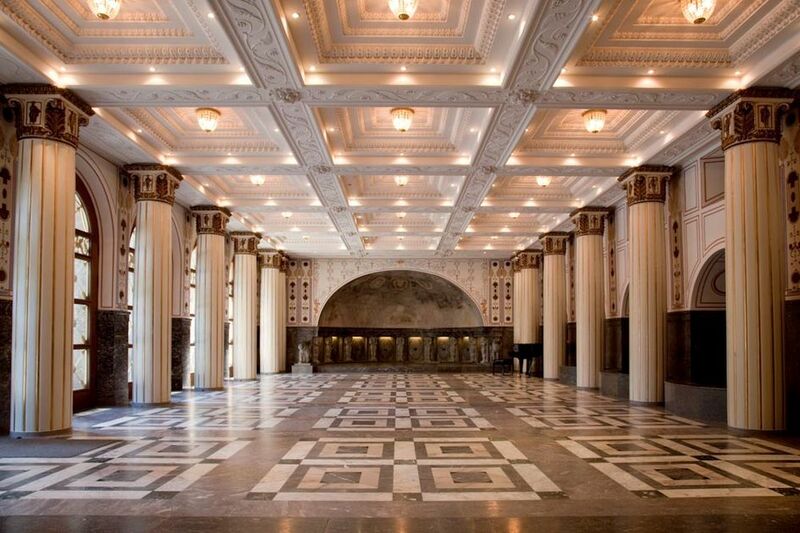 Only a few meters away of this magnificent venue you have a breathtaking view of Stuttgart! With so many stunning little details, the castle couldn’t be outside of this list. With so many options it is not easy to choose only a few places to get married close to Stuttgart. That is why I tried to limit this list to locations that were no more than 40 minutes driving from the capital of Baden-Württemberg. I also tried to list some places for different kind of weddings: rustic, boho, classic, small or big. Still, I am sure there are other incredible venues to get married close to Stuttgart that could be added here. So be free to add some in the comments if you have any suggestions!